I can see you rolling your eyes right now. Yeah, right, every kid is gifted. And every kid gets a trophy just for showing up. And every kid deserves an A in every subject. This is not what I am saying. What I am saying that every kid is truly gifted. Not gifted in the same way, however. 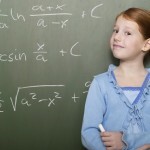 We typically think of “gifted” in terms of academic achievement and IQ scores. Yes, that is one kind of gifted. But there are many other ways kids (and adults, for that matter) are gifted. Some kids have the ability to make people laugh. Some kids have great capacity for empathy and compassion. Others are incredible musicians or athletes. Some are can take apart an engine and put it back together. These are all gifts. Clearly not every gift is equally valued in our society. At least not in terms of financial success as adults. Scientists will probably always make more money than artists. Investment bankers will be rich while social workers will scrape by. I would argue, however, that we should not steer our children toward what will make them money, but toward what will make them fulfilled. Of course, we do want our kids to grow up and be able to support themselves financially. Depending on your child’s gifts, it may be necessary for them to get a “day job” and find fulfillment using their gifts in another arena. A financial analyst by day, a rock-n-roll star by night. That is still a formula for fulfillment. How do we help our kids find their gifts? Pay close attention. Some gifts, like art or music, might be obvious. Others, like being a good listener, may require you to pay close attention. Exposure to lots of different activities. If enrolling your kids in a bunch of different classes, lessons and sports is too expensive and time consuming for your family, try exposure through books or community events. Encourage them to try new things. Praise them for having courage to try something new, rather than how well (or not well) they performed. Let them be who they are, not who we want them to be. It can be challenging for an athletic parent to have a non-athletic creative writer for a child. Remember it’s about them, not us. Let them struggle. Kids learn to respond to challenges and really figure out who they are by overcoming challenges. It can be painful for parents to watch, but struggle is kids’ most effective teacher. Discovering and Fostering Your Children’s Gifts: Come and learn how to help your kids discover their gifts, and what you can do to foster them so your children can develop self-confidence and achieve their full potential. January 18, 2016 from 7:00 to 8:00 at Family of Christ Church in Chanhassen. Positive Parenting. This class will teach you how to raise responsible, motivated, confident kids while giving up nagging, anger, threats, and power struggles. Come and learn about “Love and Logic” parenting, which helps kids and parents build relationships based on respect, empathy, appreciation, and love. January 25, 2016 from 7:00 to 8:00 at Family of Christ Church in Chanhassen. If you are interested in finding out more information or attending one or both of the classes, please contact me or visit my website www.resolutiondivorceservices.com/classes.